When Camille and her two teenage daughters fled New Orleans for the island of Little Gale off the coast of Maine, the islanders were initially more suspicious than welcoming. 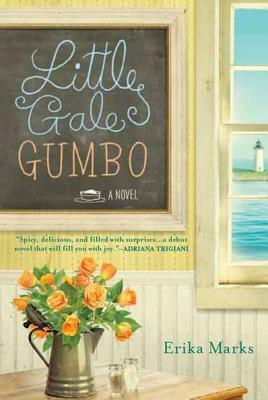 Twenty-five years later, Camille's Creole restaurant, The Little Gale Gumbo Café, has become an island staple-as has the legacy of her romance with islander Ben Haskell. Camille and Ben, along with their children, created a new family unit with a seemingly unbreakable bond. But when Ben is found unconscious in his home, next to the body of Camille's estranged husband, old secrets and suspicions reemerge, and the family must reunite to hope for Ben's survival. But as revelations come to the surface, so do long-held secrets that will test the limits and definitions of family. Erika Marks is a native New Englander who was raised in Maine and has worked as an illustrator, cake decorator, and carpenter. She lives in Charlotte, North Carolina, with her husband, a native New Orleanian, their two daughters, and their dog.